This has been a lesson that I have learned (or at least been reminded of), over and over, in the last eight years of my life. Any sense of contentment, of amusement, of relief, of pleasure, of simple joy in my home and work and friends, is accompanied by a shadow of knowledge that restlessness, disillusionment, anxiety, frustration, and abandonment (whether real or perceived) will also have their day. In the face of illness and old age and death and our own human frailties, the work and sacrifices and laughter and hopes will wither on the vine and seem trivial. Oh, I wish for once, we could stay gold. Oh I wish for once, we could stay gold. This song, by First Aid Kit, is one that I've found immense comfort in over the years. These words remind me to keep a sense of balance and proportion. I've been given so much privilege in my lifethat even the days and weeks and months of sharp disappointments and worries do seem to be tempered by many good days, and weeks, and months. "Ebbs and flows," as my Middle Sister so often reminds me, and so it is in my life. 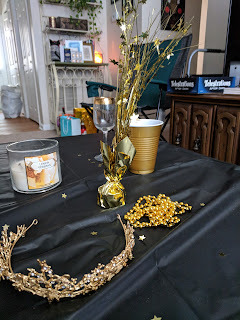 To this end, I threw a birthday party for myself at the end of May, as I leveled up to Adulting Level 38. Normally I'm not big on my birthday--I'm all about others' birthdays, but for me, I always worried that it would seem egotisitcal of me to throw a party and say "Hey everyone! Let's celebrate me!" But this year, I made an exception. And on a golden evening in late May, I opened my home to a goodly number of people. 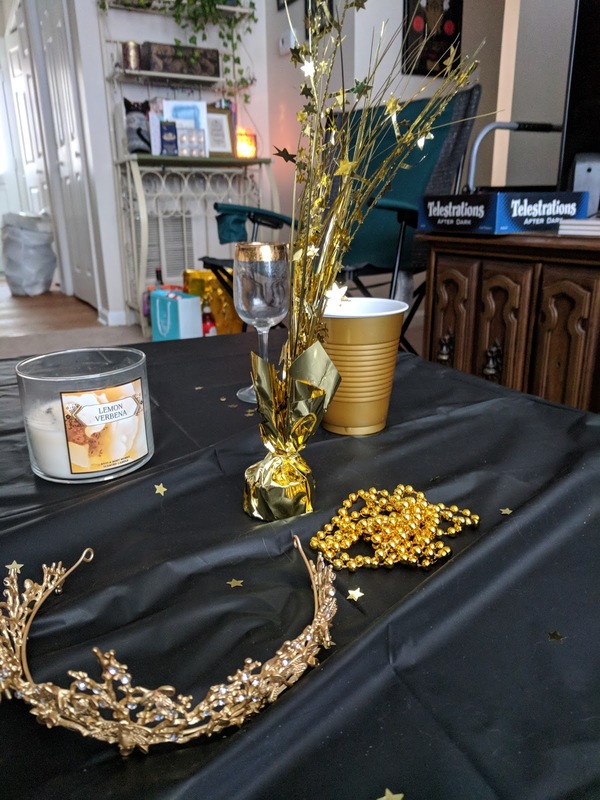 It's been a long time since I've thrown a party of any significance--and as it turns out, while my little Haggery Home feels spacious for one feme sole, when you cram 20 people into a 2 bedroom flat, things can get cozy! But most folks stayed to the very end, and honestly, I don't even care if they didn't come to celebrate with me. They were there, laughing and having a good time, and that makes my heart happy. It's a golden memory that I will keep with me so long as my memory endures. All so very true, but if I can bathe in the glow of the gold as it is here, I will count this as worth the grey.